The Hypnotic Dragon has no need for the strength of the Ferocious Dragon or the speed of the Wind Dragon. It can easily use the abilities of any dragon, simply by making them obey it using its hypnotic gaze. For this reason, everyone fears and respects the Hypnotic Dragon. For the same reason, it also doesn't have many friends. How to Breed Hypnotic Dragon? 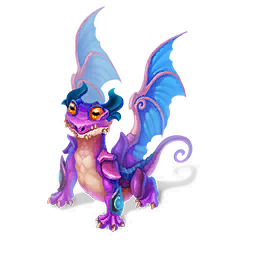 Find out how to breed Hypnotic dragon with the How to Breed Calculator!